This year on the third Saturday of August marks an international event that once began as only a national endeavor. Since it became so popular internationally, and grew as a multi-country effort, National Homeless Animal’s Day is now officially named International Homeless Animal’s Day. The special holiday will be observed this year on August 21. The holiday began in 1992 as an effort to raise awareness on pet overpopulation thanks to the International Society for Animal Rights (ISAR). The issue is very serious, resulting in four million cats and dogs in the United States being put down each year. That’s about one every eight seconds, according to the Humane Society of the United States. 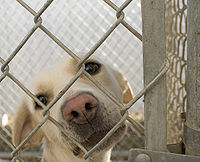 Every year, the number of dogs and cats entering pet shelters is around six to eight million. As we all know, this wouldn’t be an issue if all six to eight million dogs and cats were adopted every year. Now that the holiday is international, events are even easier to find. Some typical activities at Homeless Animal’s Day include: candlelight vigils, microchip clinics to help keep track of your pet, “adopt-o-thons”, and animal blessings. For some information regarding animal blessings or candlelight vigils, check out www.HealFromPetLoss.com. For you to become involved is rather simple. You could locate an event nearby and attend, and please help spread the word! Another option is to remember to spay or neuter your animal companion to help keep pet overpopulation under control. Perhaps the best way to participate would be to adopt a pet from a local animal shelter and give a homeless pet a loving home and family. 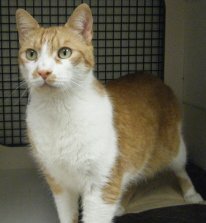 All three shelters offer animal adoptions as well as low cost spay and neuter programs. So, this year on August 21, please help to make a difference and end pet overpopulation. Contact an animal shelter near you to adopt a pet and welcome him or her into a warm and nurturing family. Mark your calendars and observe the holiday to end pet overpopulation. As Bob Barker would always say at the end of The Price is Right, have your dog or cat spayed or neutered. Click here to read more about ISAR and International Homeless Animal’s Day, and locate an event near you. Click here to learn more about pet overpopulation and ways to help control it.